Have you ever wanted to peer deep into the galaxy and find something you never knew existed? Did you ever want to see space in a way that you never have? It looks as though Microsoft is planning on making this happen in spring. According to numerous reports, its upcoming WorldWide Telescope program will allow people to look deep into space and see much more than they ever dreamed possible. But before you jump for joy, you might want to throw that Mac out - you'll only be able to do it on a Windows machine. Despite the fact that most of the developers used Macs to create the program, and many in the space community use Apple computers in their professional lives, Microsoft told journalists on Tuesday that its latest service would only run on Windows for the foreseeable future. The news that the WorldWide Telescope won't play nice with Mac or Linux came as a shock to many journalists and future users who expected Microsoft to offer its upcoming service on all platforms. That said, the company did say that it will work on getting a Mac version out as soon as possible, but added that it won't be any time soon. "To make it truly cross-platform," one developer said, "I'd basically be looking at three to four years of development." Plus, he added, "it doesn't hurt if a few people buy Windows." 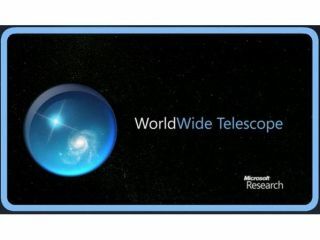 Regardless, the WorldWide Telescope looks promising and could be a popular tool when it is made available for download in the next few months.